Please note any ponies are better than no ponies. On Canada Day I went to the Burnaby Village Museum to show people swords and struggle to breathe (my asthma is still trying to kill me). It was super fun (except the part where my lungs felt like they shrank three sizes in a reverse Grinch’s heart scenario). 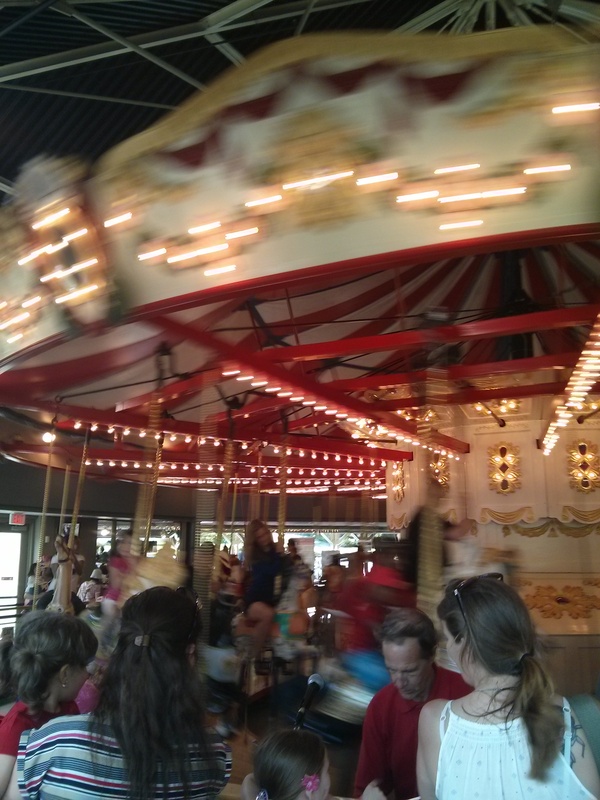 Then it got better because I got to go on the carousel ride. Yay! 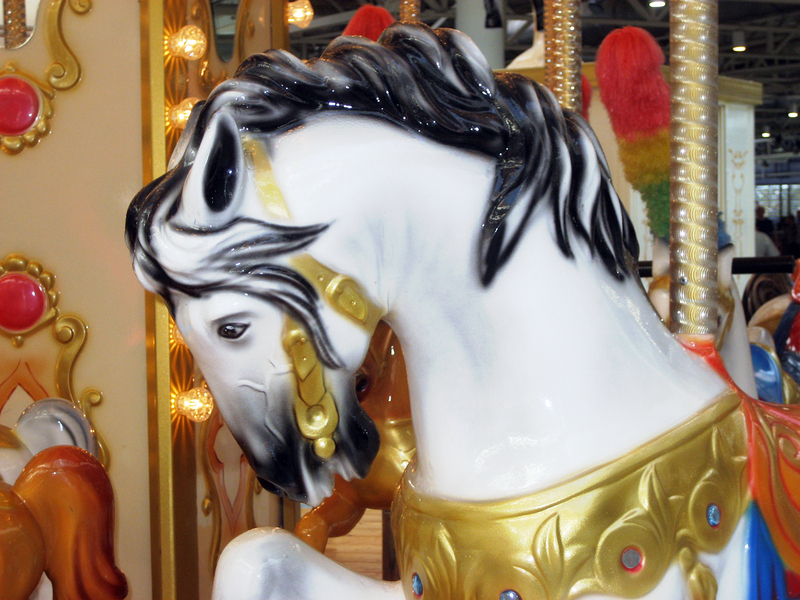 I chose a steed (well really by virtue of the standing-politely-in-line-until-something-was-available system it chose me) and mounted (celebrating, when I achieved my seat, that I didn’t have to put up my hand and ask for help). Then, once we were all aloft, the music began and we went round and around at speeds that seemed much too fun to be considered safe by modern standards. My body decided to give up having an immune system and review my childhood asthma experience. Yay. How is your body trying to kill you? Come on…everyone’s body is trying to kill them somehow.